I want to empower the younger generation to stand up, actively build a relationship with God and then let them run into the world equipped to change it. In hindsight, Emily Winkel says God was very much preparing her for an active role within ministry. As a kid, she went to camp and really looked up to all the leaders and aspired to be like them. As a pre-teen, she returned to the same camp to be a part of their leader’s in training program. As she grew into her teenage years and moved towards sports, she learned how to work within a team for a common goal, lead by clear communication and push people forward. 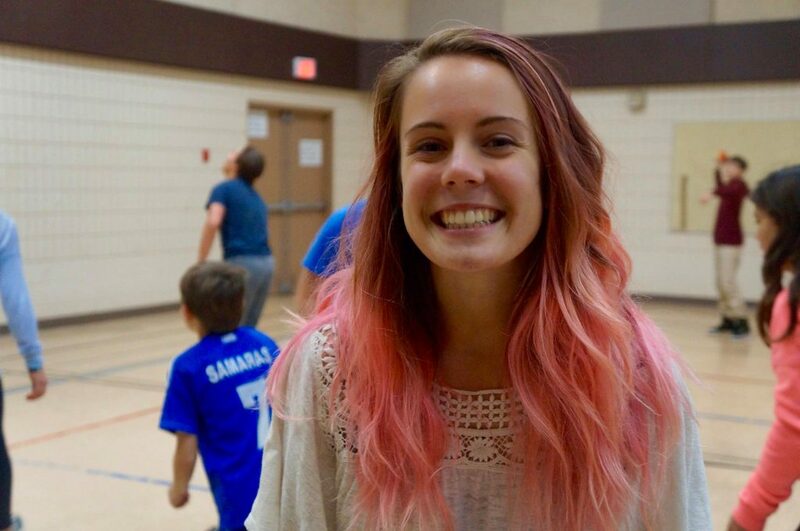 In her grade 12 year, she had a life-changing moment when going to the Dominican Republic to build houses and came back to jump into serving those younger than her. That is where she is firmly rooted now as she volunteers often with both children and youth ministries at Friendship Community Church in Saanichton, British Columbia. My philosophy is to be as real as possible so young people aren’t afraid of God, but run towards him, despite their life circumstances. I don’t pretend to know everything, or act like I have it all figured out, but I let God guide me through to radiate out the joy, love and energy of the contagious kind to just stick like glitter to all those beautiful daughters of Christ. I don’t actually develop anyone – God does, and I just am the cheerleader at the sidelines, being His hands and feet, encouraging the process and holding them accountable to their goals and dreams.